Enhance your eye with Natio Mineral Eyeshadow Trio. It allows contouring your eyelids, for a striking evening look or a calm day look. It is made with fine minerals. It does not crease on the eye lid. It is easy to blend and has a long lasting stay. Additional Information: Natio is one of the fastest growing beauty brands in Australian department stores and the top performing skincare and bridge make-up brand in Australian pharmacies. Level up your eye makeup with Natio Mineral Eye Shadow Trio. Explore the entire range of Eye Shadow available on Nykaa. 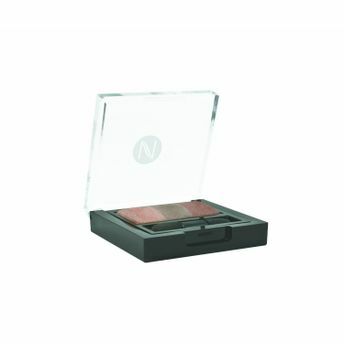 Shop more Natio products here.You can browse through the complete world of Natio Eye Shadow .Alternatively, you can also find many more products from the Natio Mineral Eye Shadow Trio range.